The Star guest house is located in the sector 38 of Gurugram. It is in close proximity to the Medanta hospital. The nearest metro station is Shalimar Huda city center, located 15 minutes from the guest house. The property boasts of ample storage space and attached balcony for the guests. There is a lift on the premises for easy access to the rooms. There is ample lighting in the room as well and a mini study table for the guests. 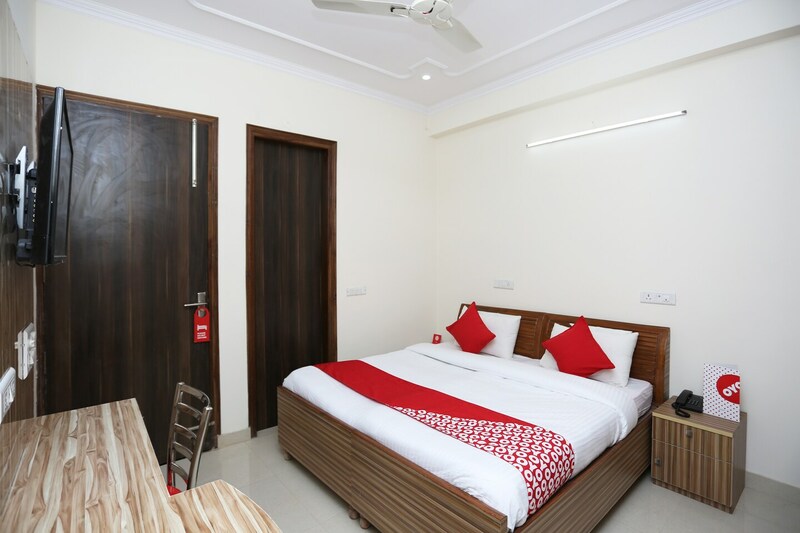 The rooms have various amenities like free Wi-Fi, king sized bed with side tables, air conditioning, kitchen, power backup, television, seating area, laundry services, intercom service, card payment and CCTV camera for the added security of the guests. The Sultanpur national park is located within half an hour of driving distance. You can also visit the vintage camera museum and foundation.